Follow Huck on his adventure! 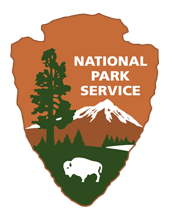 Download his trail map. 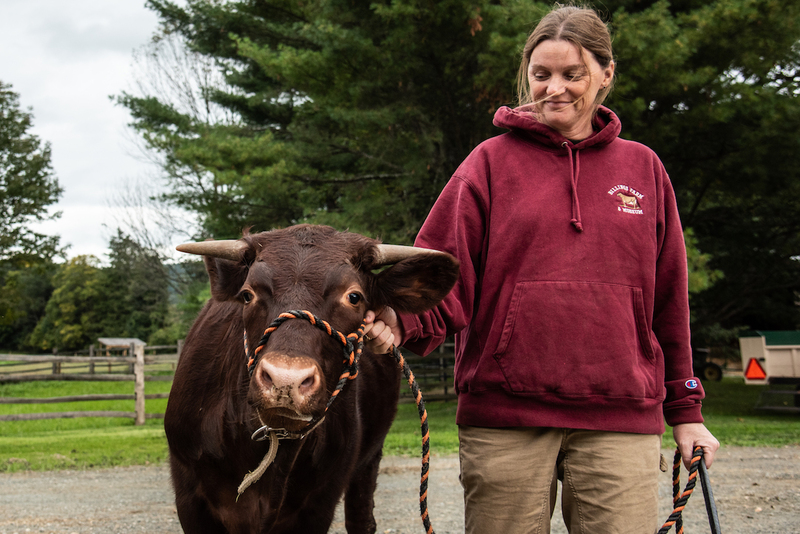 Huck pictured here with Billings Farm teamster, Amy Deome, is an American Milking Devon steer, and the newest arrival to the Billings Farm draft animal team. Historically prized as draft animals, Devons have played an integral part in Vermont’s rural heritage, helping to build much of the state’s original infrastructure and earning them a place on the official flag. Unfortunately, the breed is now considered critically endangered by the Livestock Conservancy, with only 500 or so in the United States. In temperament, Devons are known to be friendly and eager to please and are regarded as one of the smartest breeds of cattle. Kristina Rodanas has written and illustrated more than twenty-five books for children including Dragonfly’s Tale, Dance of the Sacred Circle, and The Blind Hunter. 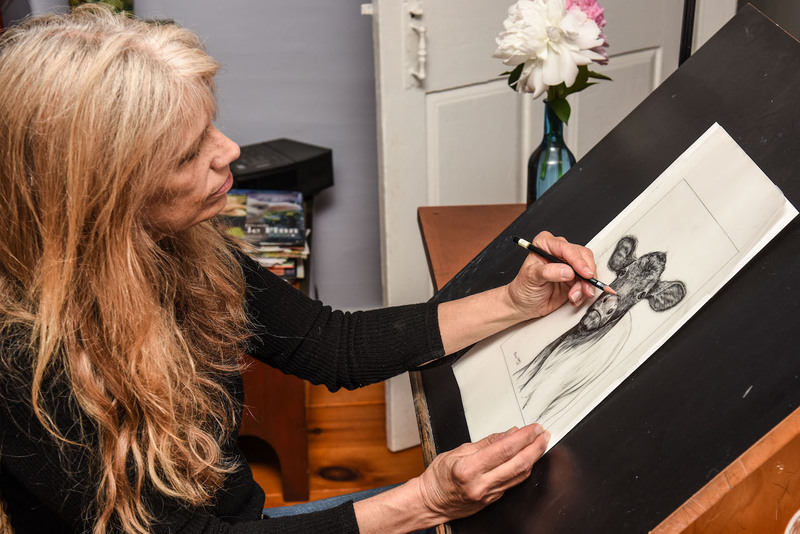 Her work has been described as “lyrical,” “vibrating with color,” and “dancing with life.” While writing and illustrating Huck’s Way Home, Kristina immersed herself in her subject, often visiting with Huck and his brother, Finn, at their home at Billings Farm & Museum. 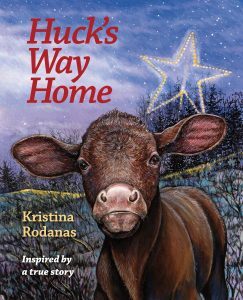 Formerly of Cape Cod, Massachusetts, Kristina Rodanas now resides in Woodstock, VT.